Thermocouples measure temperature and are used quite often in process controls. When wires of two different thermoelectrically homogeneous materials are joined at one end and placed in a temperature gradient, a thermoelectric voltage (EMF) is observed at the other end. The connection is called the measuring junction. On all thermocouples, the red lead is negative. The color of the other wire indicates the thermocouple type. For example, on a J-type thermocouple, the positive wire is white. Tables for each type of thermocouple list the voltages produced at various temperatures. Thermocouples should be checked whenever there are indications that the output is not accurate. It may also be necessary to check a thermocouple that will be used for a measurement standard. A temperature bath provides controlled temperatures for testing a sensor. A well in the temperature bath is used to hold the sensor during the accuracy check. Another well is used to hold a measurement standard thermometer, it is used to confirm the actual bath temperature. A second measurement standard thermometer is used to read the ambient temperature at the reference junction. The sensor output signal and ranges determine the thermocouple output measurement standard. Since the output is measured in millivolts, a millivolt meter is used to read the output. Set up the temperature bath as a temperature input standard to the thermocouple. Select the output standard with the appropriate range for reading millivolts. Connect the red lead to the negative millivolt meter input and the white lead to the positive millivolt meter input. Because no adjustments are possible, we can only check the calibration of a thermocouple sensor. This check is generally done at three test point input values: ambient temperature, mid-range temperature, and upper value of the application range. Recall that in a thermocouple, it is the difference in the temperature between the reference and the measuring junction that produces a millvoltage output. Before inserting the thermocouple into the bath, determine the ambient temperature, which represents the temperature at the measuring junction of the thermocouple. When using look-up tables that are referenced to 0 Deg., you must compensate for ambient temperature. The millivolt value in the tables for the ambient temperature is added to the value from the sensor. This compensated millivolt value is used to determine from the tables the correct temperature. Calibration of temperature transmitters should be checked on a periodic basis. The temperature transmitter discussed here receives an input signal from a thermocouple. A millivolt input signal will be needed for calibration, so a millivolt source can be used for the input standard. A milliammeter can be used to measure the transmitter output. Use a standard thermometer to calculate the input signal compensation for the ambient temperature. Finally, a power supply for the transmitter is necessary. To calibrate a temperature transmitter with a millivolt meter as an input standard, you must compensate for any reference temperature other than 0 Deg. C ( 32 Deg. F.). To make the input connections, the location of the reference junction must first be determined. When thermocouple wires are used to connect the millivolt source to the transmitter, the reference junction is at the transmitter connection. So, ambient temperature is measured in the transmitter housing. If copper wires are used, the reference junction is at the connection to the millvolt source, so measure ambient temperature at the millivolt source. Always observe the polarity of the leads. Connect the negative output from the millivolt source to the positive transmitter terminal. 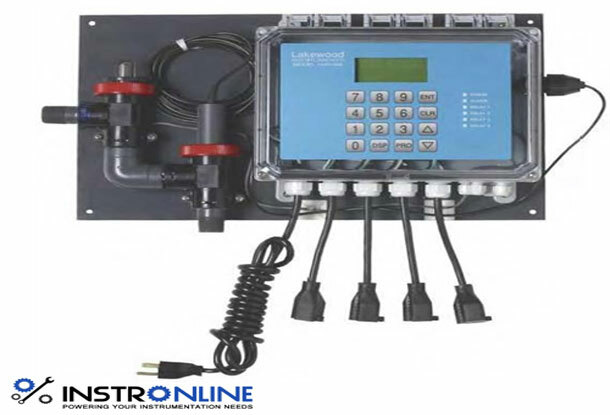 Connect the milliammeter in series with the transmitter and the power supply. Adjust the millivolt source and the milliammeter to the proper values as required, turn on equipment and begin calibration. Perform a five point check to determine if the transmitter is accurate according to specifications. Adjust the zero shift first. It should be set with an input value of 10%. With the zero properly set, a 10% input results in a 10% output. Adjust the span using a 90% input. The zero and span may interact, check and readjust as required.